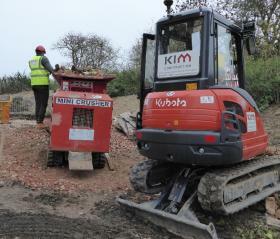 KIM Construction are Building and Civil Engineering contractors based in Olney, near Milton Keynes, Bedford and Northampton. We work with clients within a 30 mile radius of our Olney base. We are strong believers in training and over the last ten years have started a number of school leavers on modern apprentiships. Each year, we try and send two young people to local colleges in order to train for a craft NVQ. Alternatively, please complete our short contact form and we will get back to you as soon as we can.